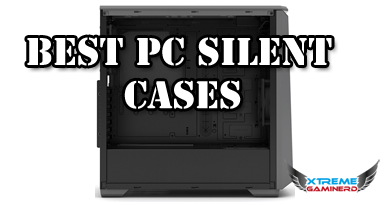 What you need to know before choosing a good Airflow Case? 1. Positive and negative airflow- Positive airflow is determined by the amount of cool air taken in the case by the intake fans and the negative airflow is determined by the amount of hot air that is taken outside of the case by the exhaust fans. To maintain a steady and stable temperature inside, one must strive for the balanced airflow. If a case only has negative airflow, then it means it will not be cool as it should be and if there is too much positive airflow, the result will also be similar. To choose a case, it must have an equal number of intake and exhaust fan slots or if it doesn’t have an equal number of intake/exhaust fan slots then we need to use the same amount of fans for both intake and exhaust. If suppose, there are 3 fan slots for exhaust and 2 fan slots for intake, then we will use 2 fans for both exhaust and intake to maintain the balance. 2. Amount of ventilation- Ventilation directly affects the cooling capacity of a case. If a case has a lot of slots for intake and exhaust fans but doesn’t have enough ventilation at the front or bottom, then there is no use of having so many fans. There are cases like Corsair 570X and Phanteks P400 which can support several fans for intake and exhaust but due to the lack of proper ventilation from the front and top, the temperature inside remains hotter than the cases which have meshed panels. Although, meshed panels will accumulate dust easily but if they have dust filter installed, then it will be easy to clean them without worrying so much. 3. Compatibility- After airflow and ventilation, comes the compatibility of components. A case may have both of the above-mentioned features but if it can’t support large CPU coolers, several storage devices or long graphics cards, then it’s still useless. Most of the people buy good airflow cases because of having so many components that generate a lot of heat. So, productivity workers and overclockers need a lot of space for installing their required components and also need good ventilation for proper cooling. Advantages are several. Not only your components remain cooler but their life also increases drastically. If you push the hardware to its limit without proper cooling, then it may fry easily and I have seen people’s graphics cards fry due to lack of ventilation. I also remember my motherboard getting so hot that it made the side panel feel like burning because of the lack of the means to drive that hot air out from inside. But I remember, when I put a single case fan at the rear, that problem was solved. So, it is obvious that the more components you add, the more heat it will generate and you will need a good cooling solution for your case. Which fans to use in Airflow Cases? This is a very good question. For good airflow, you don’t only need good ventilated cases but also good fans that will drive out a lot of hot air from inside and also bring cooler air inside. Personally, I have used CPU fans like Thermaltake Riing SP fans, Corsair AF, SP and HD series fans, Deepcool, Cooler Master and Antec fans and I found out that the best fans among these are the Corsair AF series fans. You can literally test them with your hands. The amount of air they throw is far better than the SP series fans and Noctua NF series fansare even better. So, be sure you use only AirFlow fans from brands like Corsair or Noctua for best performance. They are very efficient and silent. Also, more and more fans are being released on a monthly basis. So, there are a lot of new fans from Arctic, Corsair, Cooler Master and many others that will help you achieve your desired airflow in the whole system. These fans are now equipped with RGB lighting effects and have better technology which is worth every penny. The least and the best under $50 I can recommend is the Rosewill Challenger S. It’s an awesome case for airflow despite being so cheap. Well, it’s cheap because of its construction. The material used in this case is neither of that good quality nor it’s poorly made. It’s just intermediate which is justified for its price. 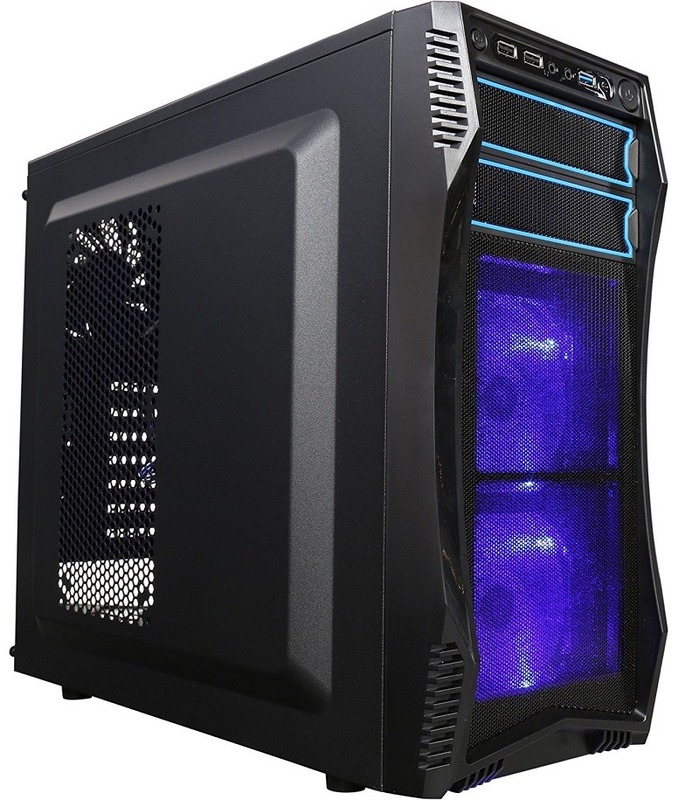 But due to its features, it made to the list of budget airflow pc cases. First of all, the compatibility is very good. You can install a full ATX motherboard in it and long graphics card too. The case comes with 2x 5.25″ ODD bays and 3x 3.5″ HDD bays that are tool free. Not bad. The space behind the motherboard tray is also enough for routeing thick cables and the cutout for installing new CPU coolers is also big and will let you swap your CPU coolers without taking out the motherboard. At its side panel, it has ventilation through honeycomb mesh on which you can install 2x 120mm fans for even more airflow. This case doesn’t have any transparent window panel to make it better in terms of cooling. 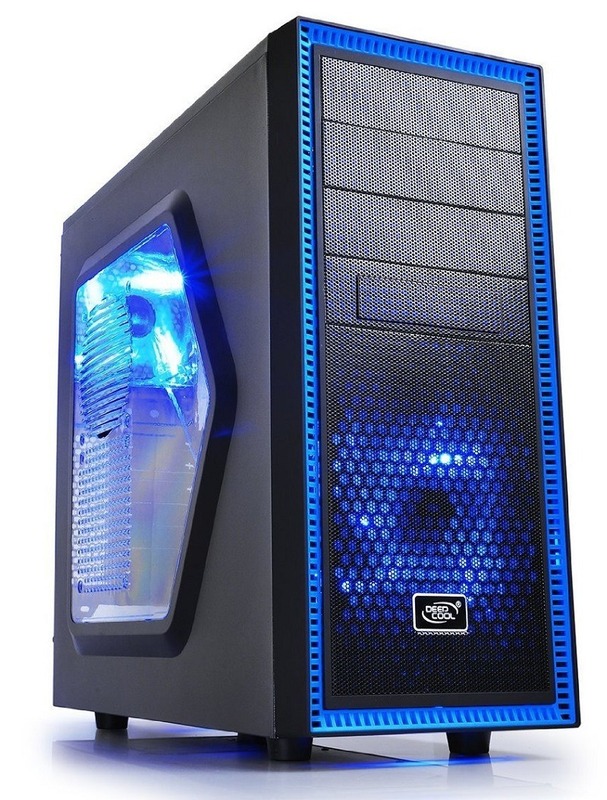 The case comes with 2x 120mm pre-installed BLUE LED fans at the front and 1x 120mm pre-installed Non-LED fan at the rear. So, you don’t have to buy fans for proper cooling although the quality of those fans are not that good. They are just basic. And you can also add two more 120mm fans at the top for creating a good balance in airflow but that’s just a preferable option. In total, this case can have up to 7x 120mm fans that will create so much airflow in the case that it will never heat up in any circumstance. This case is good especially for the people who live in hot areas. 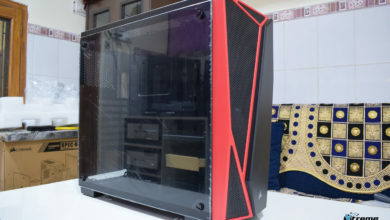 The front and top have dust filters but the bottom and side panel doesn’t so it means it will accumulate some dust overtime quickly although not that much as the front side still has a good resistance against dust and you can clean your front panel every month for proper and cleaner operation. This is a perfect budget case which costs under $50 but delivers solid performance when it comes to cooling and supports most of the components at the same time. Good cable management and pre-installed 3x 120mm fans are some good features that this comes with. I have used this case in my builds and also reviewed it in some of my posts like in Best Corsair Cases. I have personally built in this case for my friend and it’s worthy of making to this list. The SPEC-02 is the next and a little-upgraded version of the SPEC-01 but the differences are minor. The design and ventilation are almost the same but there is one more slot for adding a 120mm fan at the bottom beside the PSU. 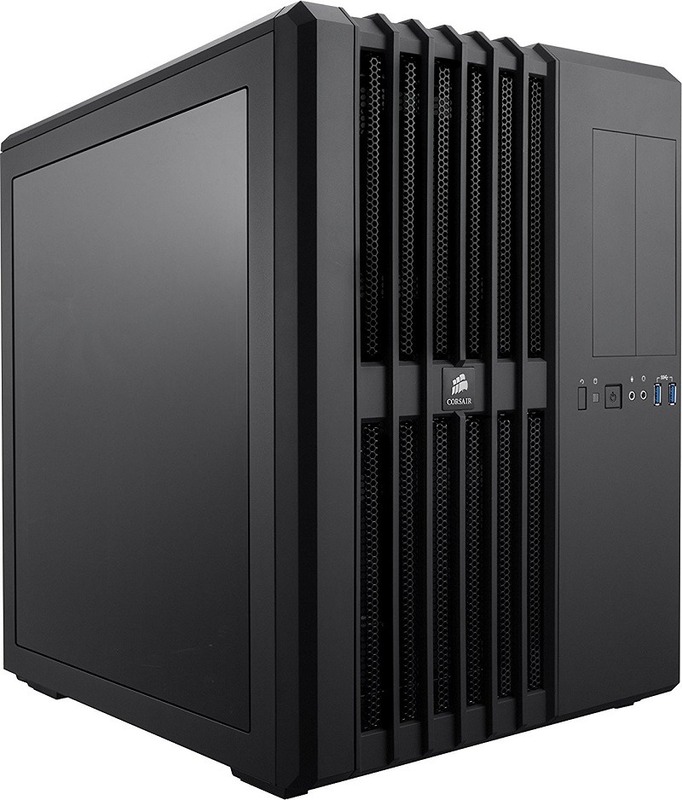 There are other SPEC cases from Corsair like Corsair SPEC-04 and DELTA but they have limited airflow from the front. So, I decided not to include those latest versions instead, I used the old yet the best option for airflow. For cooling, it has the capability of supporting 2x 120mm fans at the front, a 1x 120mm fan at the rear, 2x 120mm fan at the top and 1x 120mm fan at the bottom, all totaling to 6 fans that provide balanced airflow. Unfortunately, it doesn’t have any slot on the side panel for installing more fans but the 3-3 fan configuration for intake and exhaust is commendable. The case comes with 2 pre-installed fans only. One is at the front that has RED LED and the rear one has No LED. Both of these fans are quality ones and if you want to increase the quantity you should consider installing an equal number of fans for intake and exhaust for better airflow. The case also has good ventilation at the front. As many cases despite having 2 or 3 fan slots at the front don’t have proper ventilation, they either have the gaps for airflow at the sides or a the top/bottom but it limits the airflow just as Phanteks P400. But this one has a dust filter along with good ventilation on the front panel. At the top side or bottom side, it doesn’t have any dust filter, so it will accumulate dust easily. As for compatibility, it has good support for long graphics cards, tool-less HDD installation and a good location for SSD bays which are in the HDD cage. Cable management is also fine. It’s not that spectacular because there are some flaws like not having a separate cutout of routing the CPU cable but there is some fine space at the back of the motherboard tray but don’t expect it to be the cleanest. At the same price as that of Corsair Carbide Series Spec-02, a good case is available from DeepCool. DeepCool is not a very big brand and it doesn’t produce better quality cases than Corsair or Cooler Master but for people who are on a budget and want more for less, then DeepCool has some good solutions. 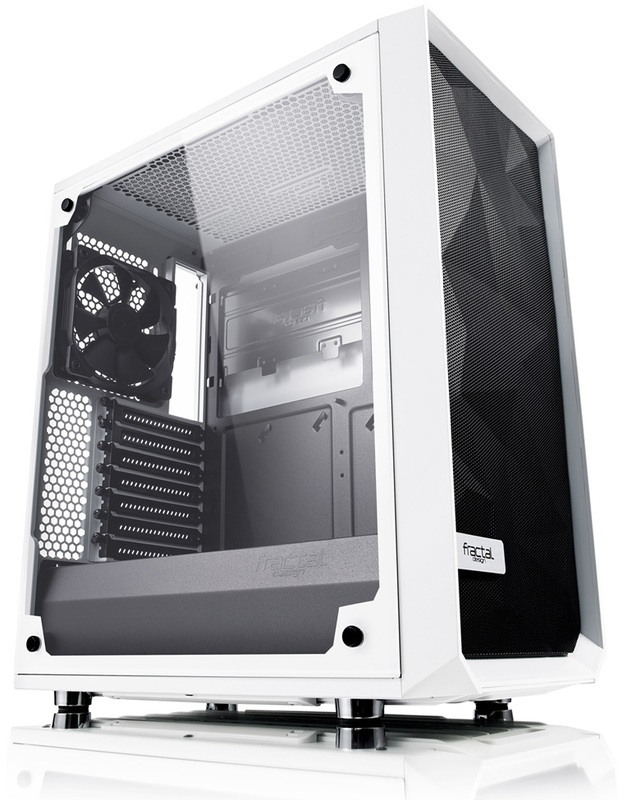 DeepCool Tessaract SW is a fine quality case made up of SPCC and Plastic that is used in most of the budget cases. It can support all form factor motherboards and basic components just like the above-mentioned cases. This case has very good support for storage devices and comes with 7 drive bays for installing up to 4 HDD’s or 3 SSD’s and all of them are tool free. So, you can just plug and play. The case, however, is not long enough to support very long graphics cards. It “CAN” support long graphics cards but you may face problem in wiring and installing the storage devices. 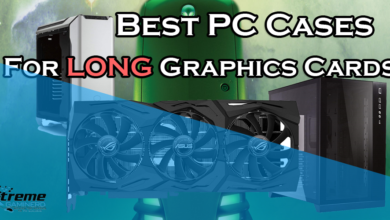 2 Fan graphics cards although can be installed with ease. Cable management is also just fine. Not spectacular. The motherboard tray cut out for installing the CPU cooler is not big enough but you can do it with some difficulty. There are a lot of routing holes in the motherboard tray which is a good thing for using Mini-ITX, Micro-ATX and ATX motherboards. You can route the cables from wherever you want. Now coming to its main feature which is cooling, it really gives a very good value here. There is a meshed front panel which has good ventilation from top to bottom and comes with pre-installed 120mm BLUE LED fan for intake. At the rear, it comes with one more Blue LED fan for exhaust. Although the quality of DeepCool fans is not that great but both can be seen through the side transparent panel and even there, you will find two more slots for installing 2x 120mm fans. So, along with good aesthetics, it also has good intake capacity. But as usual, we have to see whether it provides balanced airflow or not. If you install two more fans at the side panel, then you will have 3 fans for intake, so you must need 3 fans for exhaust for proper airflow and fortunately, it has that feature. It comes with the support for installing 2x 120mm fans at the top. Although, you cannot install radiator at the top because of the clearance issue but you can install 1x 120mm radiator at the rear just like the Corsair Carbide Series SPEC-02. So, overall it has better components compatibility especially when it comes to storage devices and great cooling with all-around airflow feature. 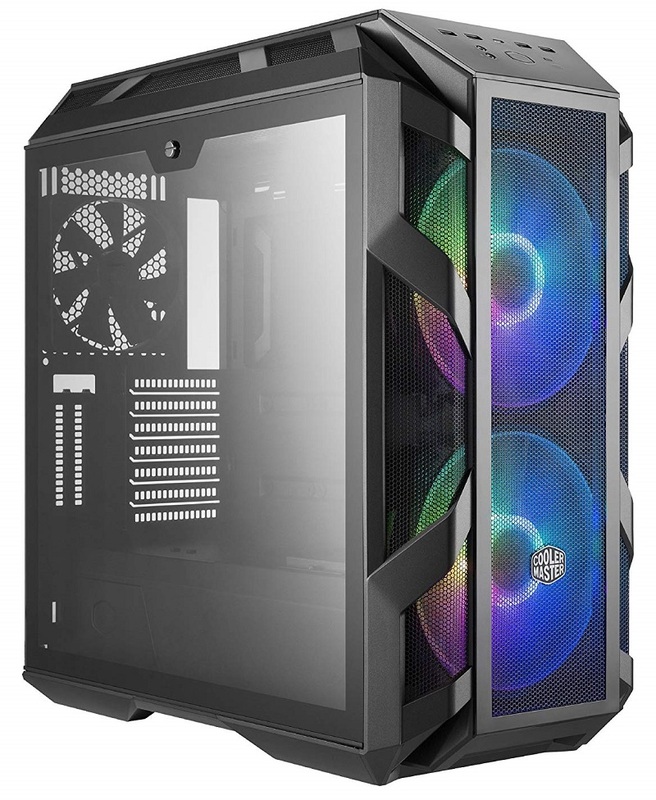 DeepCool Tesseract SW is a great budget case that has balanced airflow and comes with a side transparent window panel containing two slots for installing case fans. It also has a good support for installing a lot of storage devices and doesn't disappoint in any way for the price you pay for it. Unfortunately, this case did not get so much popularity as the others. The reasons may be many but putting those aside, we will focus what it delivers and how is it for the money. Silverstone is definitely the producer of one of the best Mini-ITX cases and this one is best for airflow without a doubt. Everything, in this case, is good and I don’t find any major CON’s in it. There are two pre-installed 140mm RED LED fans at the front for intake. Those are bigger and better than the 120mm fans that are present in the previous above-mentioned cases. The front panel is meshed and has dust filter to stop the accumulation of dust easily inside the case. You can also install radiator instead of only fans which is great for CPU cooling. The case is 6Kg heavy and the material is just fine. Still, it’s better than the previous cases. But the price is also more. For the increase of price, it comes with better airflow and the top of the case also has support for 2x 120/140mm fans or 240/280mm radiator. The bottom of the case also has one dust filter for the PSU that is very much needed. So cooling wise, it’s far better than the above cases but let’s look at its component compatibility. It can support very long graphics cards as there is no drive cage at the front and those are present inside the PSU shroud where you can either install 2 HDD’s or 2 SSD’s. There are also two more drive bays for SSD’s above them. But you are limited to max 4 storage devices at one time. So, you cannot have too many storage drives at the same time in this case. But other than that it has a PSU shroud which covers every cable and a separate cover at the motherboard tray for hiding the ATX power cables and other cables properly similar to the NZXT S340. There is an additional USB type C port at the front along with two USB 3.0 ports and the design from every angle looks great. I definitely recommend this case for $70 and should be the priority of anyone who wants the best airflow case for this price. When you need the cases with the best airflow then Corsair has several cases like these. 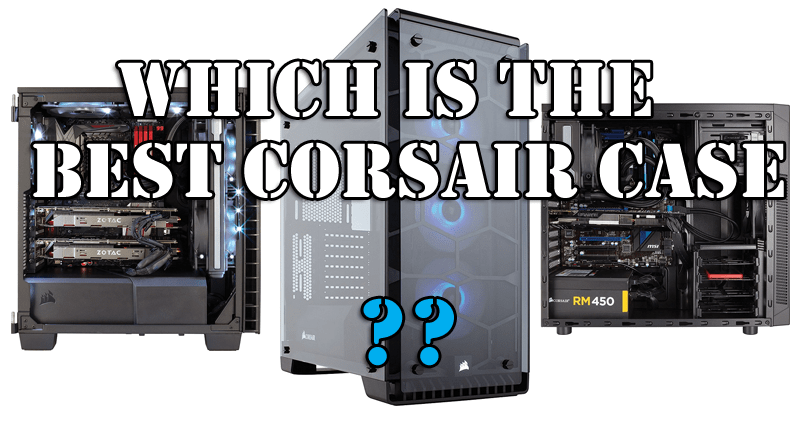 Among them is the Corsair Carbide Air 540 ATX cube which also has a smaller version for mini-ITX form factor motherboards. This case is very innovative and has a unique design when comes to installing the components. The hard drive bays and the SSD bays are at the back where the power supply will be installed and therefore only the beautiful components like graphics cards, radiator, ram, motherboard etc. will be seen through the transparent window. It can support a lot of radiators at the same time and perhaps it’s much easy to do custom water cooling inside it. For cooling, it has ventilation from front to the top and comes with pre-installed 2x 140mm Fan at the front which can be interchanged to either 3x 120mm fans or a 240/280/360mm radiator. But then you won’t be able to install very long graphics card as some clearance issue may occur. But at the top, there is a lot of space for installing even a dual fan radiator and you can even install very thick radiators which are used for custom water loops. This case can have 6x 120mm fans or 5x 140mm fans at the same time and supports several storage devices at the same time. As most of the wiring stuff goes at the back, cable management is very easy due to the large empty space present at the back. Rubber grommets are huge Pro in this case and are present for routeing cables from different directions. This case is all the way one of the best airflow cases right now in the market although it’s not cheap and comes for around $140. A perfect case which not only has great cooling and ventilation but also comes with awesome cable management and good hardware support. It's hard to find a CON in such a case and this is at the top of my recommendation list. 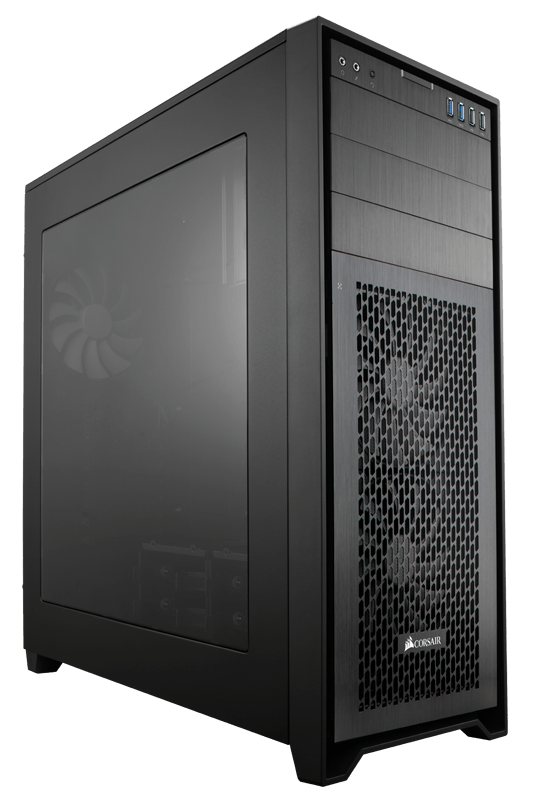 If I can choose a perfect case for you under $100, then I will recommend the Fractal Design Meshify C TG which is also among the best mid-tower case you can find right now. This is a deal breaker and consists of every feature that you would want and need. The case is taller than it is wide and saves a good amount of space on the desk but this doesn’t let it decrease its compatibility. It can take AIO coolers, custom liquid loops and long graphics cards. The interior and the exterior are at its best and I like the White version of this which has a white exterior and black interior. There are a total of 5 versions of this case including a black one but I like this one the most. The case uses a very good design for installing the components especially the storage devices. The full-length PSU shroud hides the power supply and can host 2x 3.5″ hard drives while the back of the motherboard tray can host 3x 2.5″ SSDs. For cable management, there are 2 big routeing holes with rubber grommets. There are also some routeing holes on the PSU shroud that are very helpful in connecting the front panel connectors to the motherboard. As for the cooling, this case doesn’t hold back anywhere. The front panel features an angular design which Fractal Design claims increases the intake. There are dust filters at the front, top and bottom so that the case accumulates less dust. You can install up to 3x 120mm/2x 140mm fans at the front, 2x 120mm/140mm fans at the top, a 1x 120mm fan at the bottom and 1x 120mm fan at the rear. The case already comes with two 120mm fans pre-installed- one at the front and one at the rear. For AIO cooling, you can install up to 360mm radiator at the front and up to 280mm radiator at the top. Therefore, cooling wise it doesn’t fall back and provides the maximum support. The material quality, as well as the aesthetics of this case, is 10/10 for the price. For $100, I find the Core X31 to be the best case both for airflow and customization. The reasons for choosing this case over other cases with the same amount of fan slots are modular design and better ventilation. You can take apart almost every drive cage and even the PSU shroud from it to build in it accordingly. 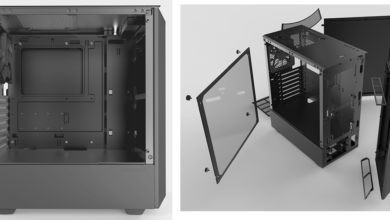 For people who want to do custom water loop will definitely need this case because even if you remove all the cages you will still have drive bays at the back side of the motherboard tray where you can install hard drives and SSD’s. In front, you will still be left with plenty of space for custom water loop and a great ventilation for sending the heat out, out of the rear and top of the case where you can install up to 4x 120mm fans collectively. The top also supports 3x 140mm fans and has a dust filter. Not only the top but the bottom, the front also has dust filters for preventing the dust accumulation. Fan support is astonishingly not limited to the front, top and rear but you can also install up to 2x 120mm or 2x 140mm fan at the bottom beside the PSU. The airflow will be ridiculously high, in this case, leaving no room for overheating whatsoever. 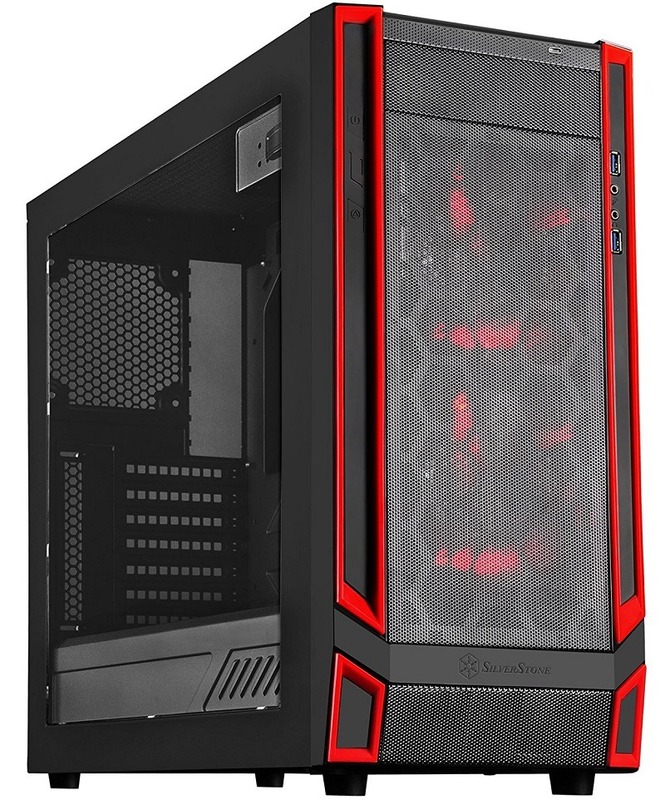 For $100, This is the best case which is modular, having great airflow and also comes with 3x 120mm TT RGB fans pre-installed. I use the TT Riing fans myself in my personal rig for radiators and those are one of the best PC fans I have ever used. Thermaltake Core X31 RGB edition is the perfect mid-tower for cooling which has a support for almost every component. From aesthetics to ventilation, under $100 it's a real bargain. We cannot forget that there are many gamers and productivity workers who need a lot of components, especially storage devices inside their PC. Productivity applications of video editing and rendering require a lot of horse-power and generate a lot of heat when it’s continuously done. So, the case needs better airflow along with ample space for increasing the quantity of the components. For this Corsair has a great solution. Corsair has it’s Obsidian 750D which is perfectly suited for all types of productivity workers as well as gamers. Not only it’s huge but it’s fully modular to adjust according to the needs. It has several Hard drive/ SSD cages for installing several storage devices at the same time. Or you can also remove some of them if you plan to do SLI or custom water loop. There is ample space behind the motherboard tray also where cable management is very easy to do but as the tower is huge, it also weighs around 10KG. So combined with the components especially with 2 or more graphics cards and CPU coolers, you will have it close to 20KG easily. But let’s move to its cooling feature. At the front, it has space for installing up to 2x 120mm or 2x 140mm fans although it already comes with 2x 140mm AF series fans that are Non-LED and provide maximum airflow as I said earlier that AF series fans from Corsair are best. At the top, there is plenty of space for installing 3x 120mm or 2x 140mm fan that can be replaced by a 240/280 or a 360mm radiator and it has a lot of clearance to not pose any difficulty installing the motherboard and Ram. At the bottom, if you remove and adjust the Drive bays in one row leaving space at the bottom then you will have space for installing 2x 120mm/140mm fans or even radiators. And at the rear, as usual, it can support 1x 120mm/140mm fan which it already comes with pre-installed 1x 140mm AF series fan. So for cooling, you cannot find any CON in it and especially when it has dust filters everywhere to stop the dust from accumulation. This is a total package with full component support and best airflow. Corsair Obsidian is a perfect example of a case which doesn't have any CON's. It's brushed aluminium surface with modular design and support for components is ridiculous. Cooling, on the other hand, is exactly what you need. With 3x 140mm quality AF series fans pre-included and support for up to a total of 8 fans at the same time, it creates the best possible airflow making it perfectly suitable for productivity workers and gamers. Cooler Master MasterCase H500M is the revised edition of the original H500P which also got a revision for the front panel but this one adds some more features to the case which helps in both aesthetics as well as airflow. 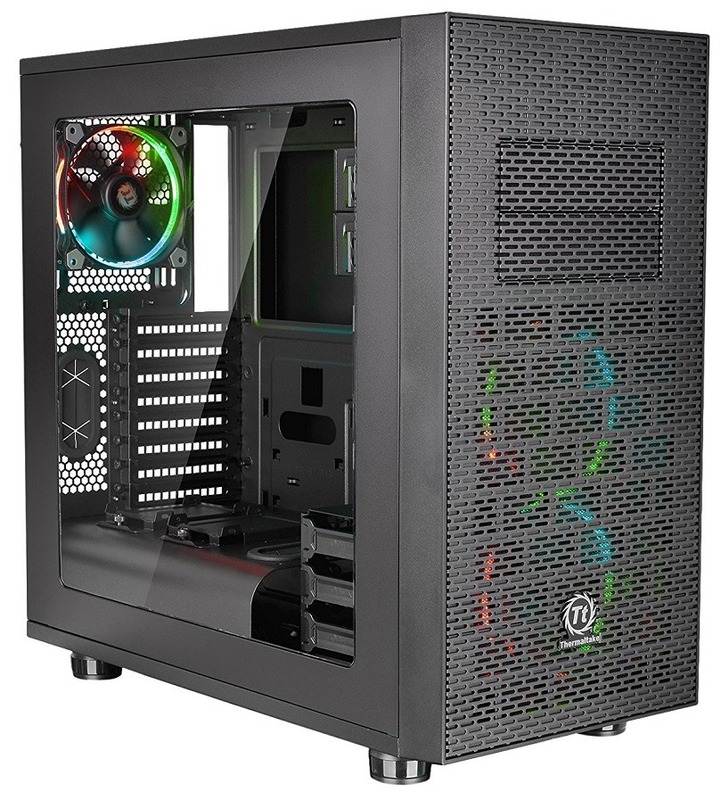 This case costs $200 due to the premium quality materials used in it and the features it has been equipped with for components support as well as cable management. 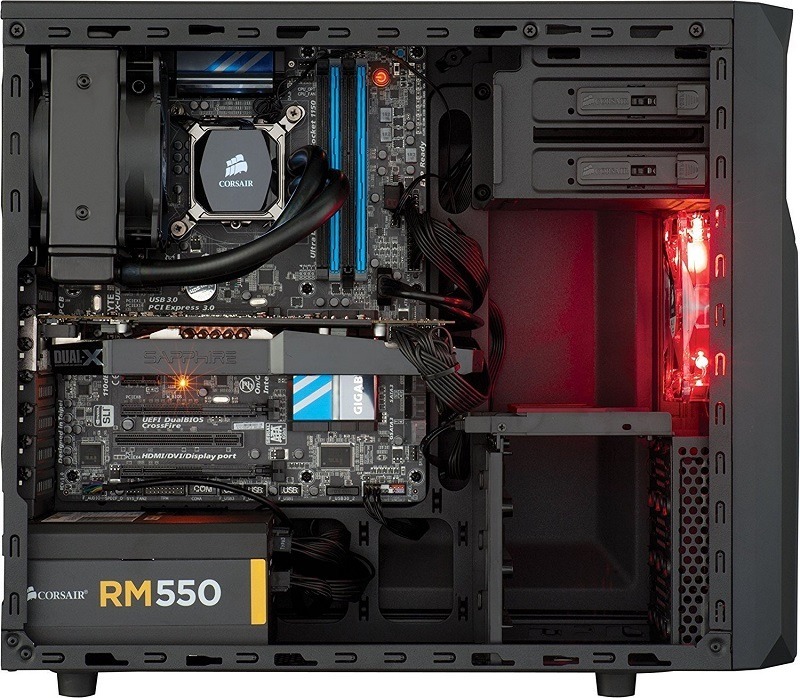 Our Senior Editor Subhanka has reviewed this case and is using it as his personal chassis and believes that it lives up to its name and is worthy of being included in the Half series that CoolerMaster has specifically made for high airflow. The front panel uses a quality mesh design that features more width from the sides which results in increased airflow and the middle part can be interchanged with the glass panel if you want to limit the dust intake. In both the cases, the case performs absolutely great in terms of cooling and as the case is equipped with 2x 200mm ARGB fans, you will be enjoying both the great airflow and multiple coloured lighting effects. Inside it, there is a lot of space for installing tall CPU coolers, AIO coolers as well as long graphics cards that will get clearance up to 412mm. It also uses a Graphics card support arm that helps the graphics card not to sag which looks odd. With a full PSU shroud, you can hide all the cables inside it and also host your hard drives which is now a norm in most of the mid-tower cases. Behind the motherboard tray, you will find the covers that allow you to hide cables properly even if you don’t use the back panel. That’s also a good addition. There are multiple features that are still needed to be discussed on it but it will be better if you read our full review of this case that will let you decide if this case is worth the money or not. Do you have any other recommendations for the list? Let me know in the comments below!